Arranged for the Solo Pianist. Composed by Jolene Boyd. Sacred. Lillenas Publishing Company #9780834171435. Published by Lillenas Publishing Company (LO.9780834171435). This book contains familiar hymns and gospel songs each uniquely linked with recognizable classical literature resulting in ten creative medleys. The format of each arrangement is the same: a brief introduction in the style of the classic selection; an interlude serves as a bridge to the hymn; and a short ending brings the arrangement to a joyful close. 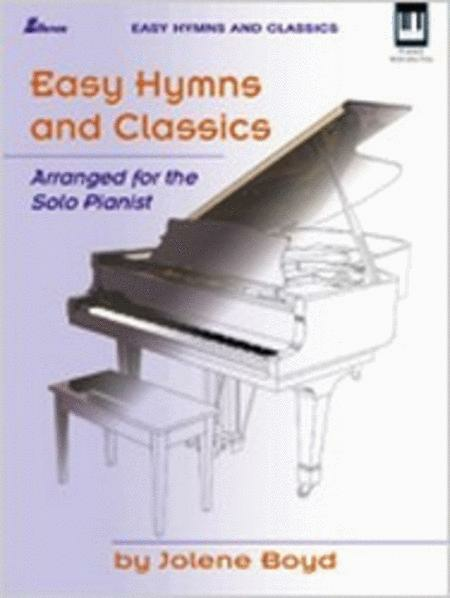 Easy Hymns and Classics is skillfully arranged for the intermediate piano student by Jolene Boyd. To view a complete list of the pairings, click on Table of Contents, below. In the Power of Christ I Stand!